Later on, his fever spiked so we put him in a bath. 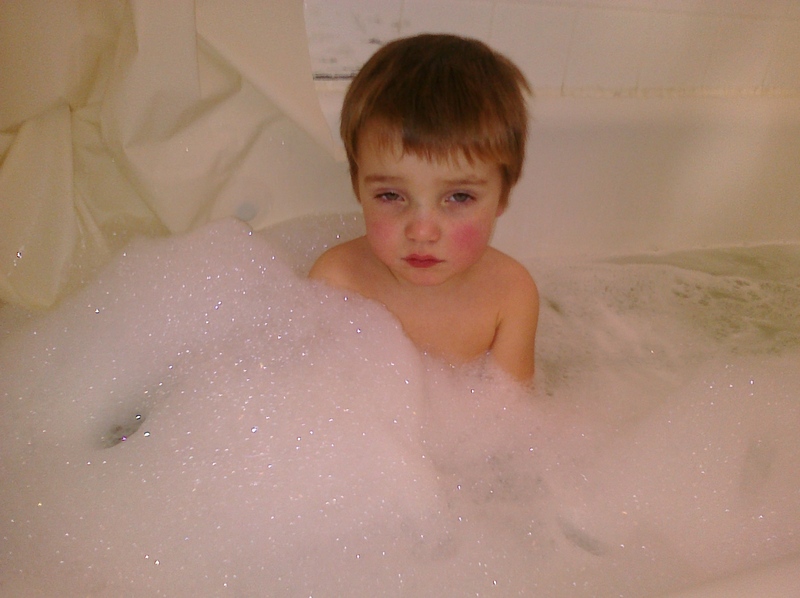 Even the bubbles didn't cheer him up! That seemed to bring the fever down, but he went to sleep in his bed after that. Fitful sleeps through the night and a slight fever this morning. Off to the doctor’s office we go. An ear infection. And the meds should help with some “rumbling” in his chest as well. The poor guy has been sleeping for most of today too.